Healthline editors carefully select the most up-to-date, informative, and inspiring blogs that aim to uplift their readers through education and personal stories. DrGreene.com is proud to be included. 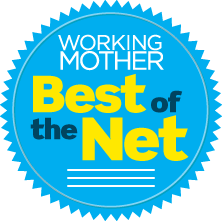 This award highlights the very best blogs about pediatrics on the internet as selected by a panel of judges. It is designed to thank the authors for their contribution toward the world wide web. This people’s choice award was given to DrGreene.com for providing a foundation of knowledge to help families during their day to day and additional insight into making changes that will limit our families’ exposure to harmful environmental dangers in our everyday lives. 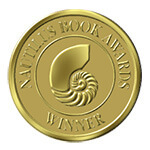 Dr. Alan Greene’s highly acclaimed primer for raising healthy kids, Raising Baby Green: The Earth-Friendly Guide to Pregnancy, Childbirth, and Baby Care, received the highest honor from the Nautilus Book Awards, which recognizes books that contribute to positive social change. DrGreene.com received the Health Improvement Institute’s top honor, the Aesculapius Award for the best health site on the Internet. The award is given based on the findings of a panel of judges representing the healthcare, web publishing, and multimedia fields evaluated entries. Judging is based on factors such as usability, design, innovation, content and credibility; capturing and use of visitor feedback; readability and aesthetics; and performance objectives and accomplishments. Huddler provides green product and web site reviews, discussions, news and more. So it’s no wonder they love DrGreene.com. DrGreene.com received a Silver Award from eHealthcare Leadership for Best Health/Healthcare Content among Consumer Health Sites. The judging was based on how extensive, balanced, up-to-date, well-organized, and credible the information is on the site and if the materials can be tailored to individual needs. The Gold Winners were Kaiser Foundation Health Plan for kaiserpermanente.org and Healthology.com. Yahoo! Internet Life — Dr. Greene’s HouseCalls is proud to have earned a rating of Four Stars and to be ranked #1 in the Resources for New Parents category by Yahoo! Internet Life. DrGreene.com has received The Ferguson Report’s Distinguished Achievement Award for outstanding contributions in consumer health informatics and online health. This award is presented to those doing the most important and meaningful work to advance the field of online consumer health. PediatricNeurology.Com promotes responsible and comprehensive information on topics related to pediatric neurology. We are proud to provide our Outstanding Site award to DrGreene.com as an amazingly extensive and helpful resource for parents. The Editor’s Choice — From the New Reader’s Digest, this is a prestigious award, granted to sites with outstanding content. Their slogan is “100,000 flowers out of 6 million weeds.” Dr. Greene’s HouseCalls is pleased to have received this stamp of approval! Achoo is a medical search engine that acts as an information resource for the medical community and all other Internet users interested in healthcare information. Dr. Greene’s HouseCalls was the first pediatric web site to win the site of the week award. DrGreene.com is the recipient of the first Parentsroom Parenting Chat and Parenting Resource Page award for excellence. DrGreene.com was selected because of its useful content, professional look, and easy navigation. The reviewers from Tufts say, “Dr. Greene provides thorough, thoughtful. Key subjects covered at date of latest review: breastfeeding, vitamins.” Of course, we provide so much more that those two subjects, but appreciate the nod. According to ParentsDirect.net, “DrGreene.com has thoroughly impressive content about children’s health resources.” Oh, yeah. DrGreene.com has been selected as one of the Net’s finest informative web sites and is included in StudyWeb’s listing of educational links.